10-time All-Star and Hall of Fame San Antonio Spurs center known as "The Admiral." He won NBA Championships in 1999 and 2003 and was named NBA MVP in 1995. He majored in mathematics at the US Naval Academy. He was widely respected throughout the league during his career and was given the NBA Sportsmanship Award in 2001. He married Valerie Hoggatt in 1991 and they had three children together. He won two titles with the Spurs, and Tim Duncan was the Finals MVP each time. 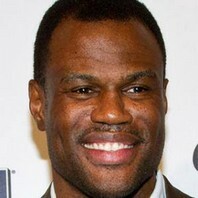 How much is David Robinson worth?